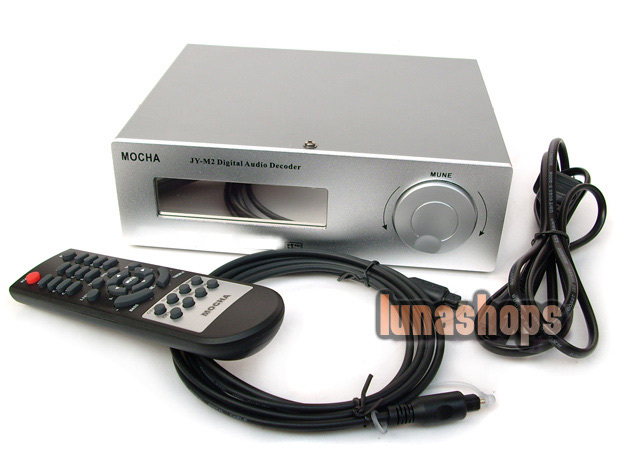 MOCHA JY-M2 5.1 CH digital audio frequency decoder. 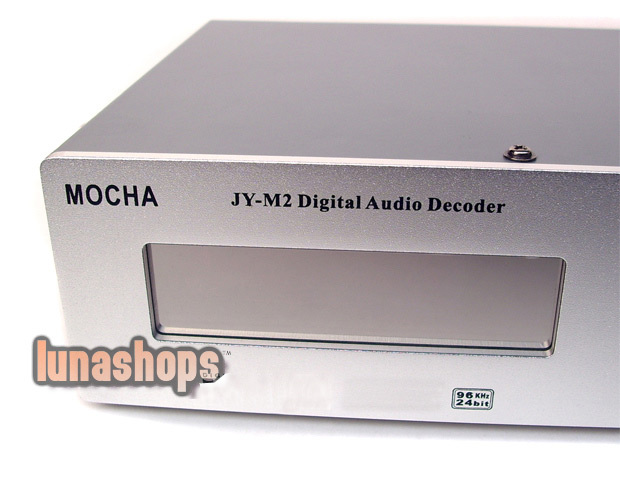 Tips: 110v or 220v AC input model is ready for selection..
First, you are apprecited for choosing MOCHA JY-M2 digital audio frequency decoder. 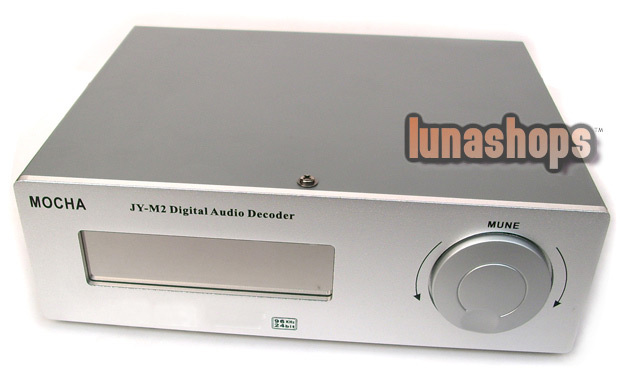 This fashionable decoder is capable of DTS and Dlby Digital decoding and is able to process Dolby Pro Logic II by simulating any double-track sound in 5.1 track ambient soundscape. 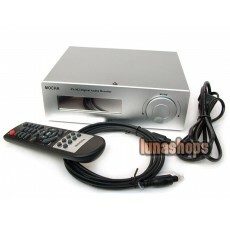 It is equiped with various ways of audio input, which means it can function in harmony with different kinds of entertainment facilities, for example, High-Fidelity DVD player, CD，ＰＳ／２，XBOX360，soundcard of computers. It gives a fine representation of the amazing quality of digital ambient sound in films, so that you would feel that you are personally on the scene when you are watching DVD, listeing to music or play PC games. 1.It should be placed in dryness and shade. Exposure to sunshine should be avoided. More space is needed for releasing the heat. 2. It should be placed away from interfering appliances, for example, transformer, electromotor, in order to avoid interference and noise. 3.Don’t pile up sundries on it. 4.Make sure all the connections are ready before you turn on the switch. 5.Turn off the switch after work. Take off the plug for a long-term idle status. 6.Please contact the appointed provider inn case there was any malfunction. You are warned not to open the lid and amend it by yourself. 7.Please strictly follow the on-off order to avoid the shock caused by false manipulation. It is armed with alnico panel of high-class sandblast art, and with black Acrylic lens with VFD screen vision, which results in easy manipulation and nice look. Nine DSP effects are internalized, with pattern selection of big and small loudspeakers, direct pattern selection of 2.1 or 5.1, test of noise, correct and convininet location of different sound boxes. 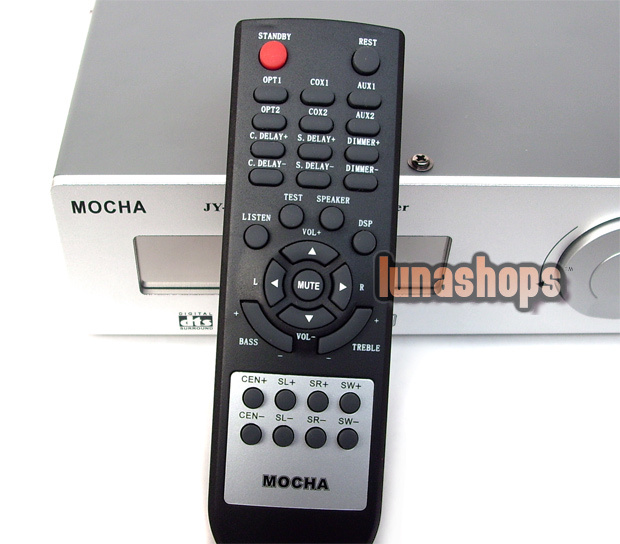 It is under multi-functional remote control. It applies American Crystal’s first-class double-decoding CMOS chip, 24 bit/96KHZ CMOS chip, which ensures the first-class sound quality and stable performance. It applies Japan Mitsubishi’s super digital volume-control IC to adjust the volume of the main track. Volume of different tracks can be individually controlled. There is one channel of optical signal input, two channels of coaxial signal input, two channels of RCA simulation signals input. 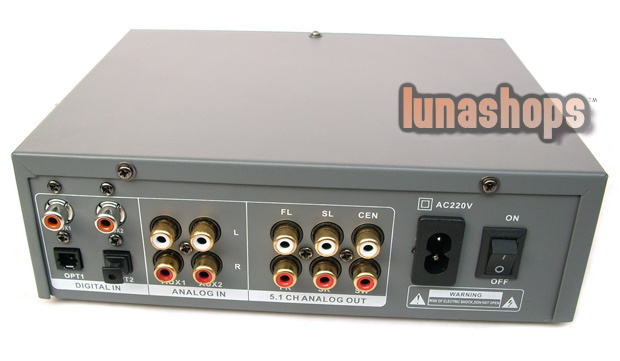 There is an output interface: six-channel RCA interface. 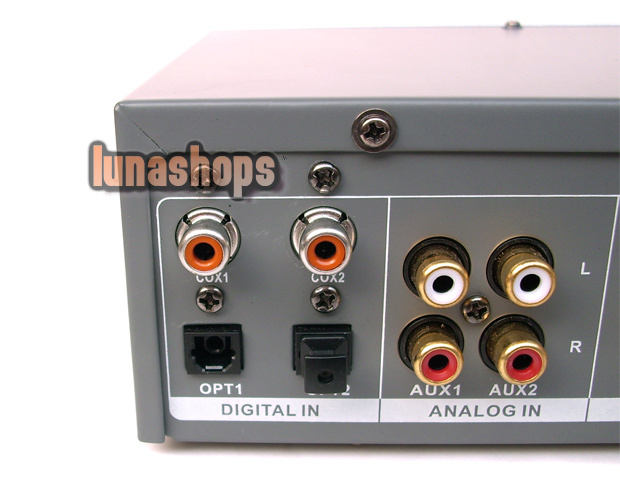 2、COAXIAL 1：Interface 1: Digital coaxial input. 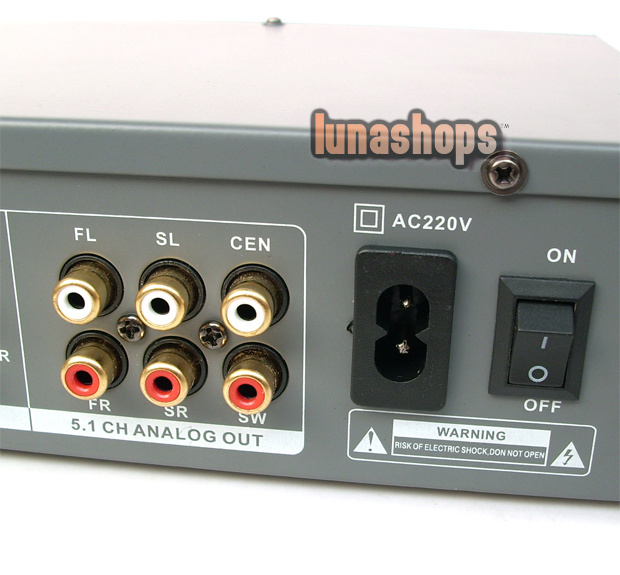 3、COAXIAL 2：Interface 2: Digital coaxial input. 4、AUX1：Input interface 1: simulation of stereo sound. 5、AUX2：Input interface 2: simulation of stereo sound. One DSP pattern each time, all together nine patterns. Push this button to restore the state of being electrified, volume 30dB. Turn up the main volume and adjust the volume of other tracks, the maximum 63 dB. 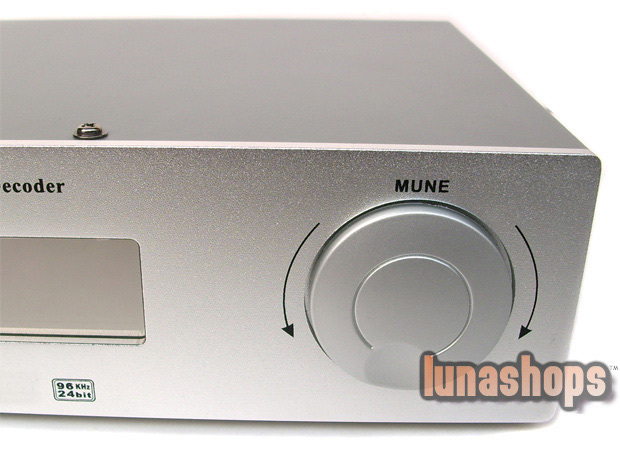 Turn down the main volume and adjust the volume of other tracks, the minimum 0dB. push the “STANDBY” on the control or turn the button on the faceplate to turn on the machine through the channel of OPTICAL by default. Push the button on the faceplate, you can enter the menu in turn “INPUT，TEST，LISTEN，SPEAKER，DSP”, turn it left/right to enter the next menu and drop out in 5 second without manipulation. Test menu: turn left/right to enter noise testing, the order is “FL，CV，FR，SR，SL， Sw”，it exits automatically in 2 circles. Turning of the button can help control the volume, pushing the button can exit noise testing. Only three buttons“TEST，VOLUME+，VOLUME-” work when testing. Digital input in PCM can be switched to STEREO/PROLOGIC—II, input of AC-3 can be switched to 2.1/5.1 pattern, input of DTS can be switched to DTS2.1/DTS5.1. 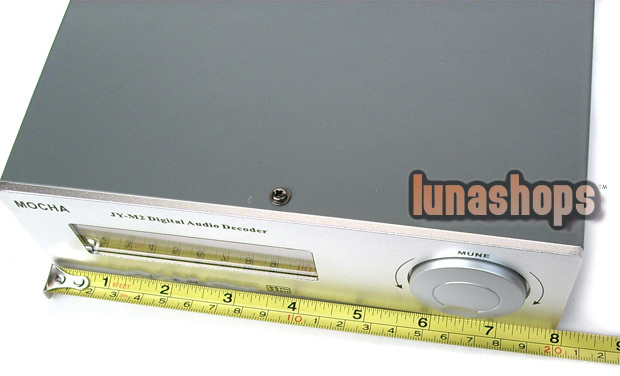 Speaker menu: turn the button to switch between big and small loudspeakers. DSP menu: turn the button or push “DSP” to select in turn: CINEMR，HALL，CONCERT，HOME， POPS，CLASSIC，ROCH，JAZZ，FLAT and BYPASS. Notes: the productions of our company are keep updating. We are sorry that the follow-up alteration would not be annouced. The company has the final explanation. It is convenient to manipulate this machine. Problems cannot be totally avoided when it is misused. If you come across the following questions in using the machine, please try the resolvements listed below. If the problem cannot be solved in this way, please contact us or the local providers in time. You are not allowed to open the lid and mend it by yourself. 2.Whether the machine is turned on. 1.Whether the amplifier is on. 2.Whether the voltage is stable. 3.Whether the connection is ready. 4.Whether the right channel is selected. 5.Whether the signal source works well. 三、No sound in a sudden. 1.It may be the signal source. 2.The amplifier is in self-protection. 3.The voltage of local power supply is not stable. 1.The original version of the signal source is noisy. 2.The plug may be loose. 3.The quality of wire may be low. 1.CPU is out of control. Reset. 1.The battery may be run out. Change the battery. 2.The machine is out of the scope of control. 1.5.1CH may be falsely connected. Use TEST to replace the tracks.